On July 13–17, in the middle of the northern Utah desert, a temporary city will emerge—a city filled with creativity, positive community collaborations, amazing art and some of the most colorful people in the world. It’s a city that celebrates you, where you can be free from the stigma that stems from the norms and judgments of society. It is where you can escape, unplug and evolve, where you can heal and release your burdens. Monuments and statues are constructed only to watch them burn. This city’s population will reach over 1,400 during those four days in July, and in a matter of hours, there will be no signs that they were ever there. This city is called Element 11. Element 11 was founded back in 1998 when a group of creative individuals went to the Burning Man Festival and became inspired. This group felt that Utah should have a similar event, and the ideas, collaborations and momentum began. 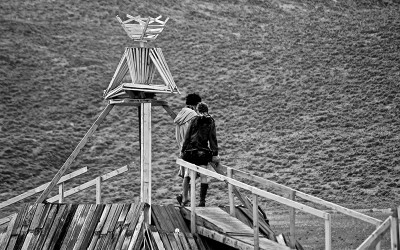 “As legend has it, the first gathering was at Stansbury Island and was a very small group of people,” says Stan Clawson, a member of Element 11’s board. The original gathering, the first Utah Regional Burn, was called Synorgy. In its 18 years of evolution since, it has grown into the entity that is now Burning Man sanctioned regional event called Element 11, meaning that the event is tapped into the Burning Man Regional Network. 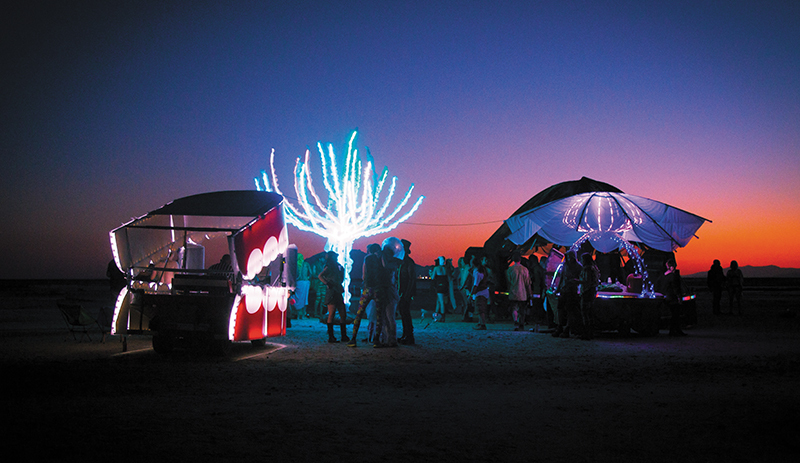 “Instead of reinventing the wheel, they can come together as a group and consult with the Burning Man headquarters and come up with some solutions,” says Clawson. A few years ago, Element 11 was relocated from Seabase to Stargazer Ranch, a move that boiled down to finance reasons: too much of the funding was going to the location rental and not enough was going to the artists and performers. “One of our mission statements says that a certain percentage of our funds have to go to the artists, and the other is to take care of the event itself.” Element 11 discovered that they were paying more for the property rental than was any other Burning Man sanctioned event. Now, more money goes out to the artists through grants, furthering the event’s continued artistic growth.